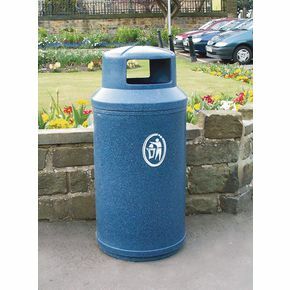 Polyethylene bodyshell with galvanised steel liner. Lock and key, weighted base. Environmentally friendly, made from recyclable plastic. H x Dia. 1130 x 520mm. Also available with pest control option (see page 1149 or search our website).